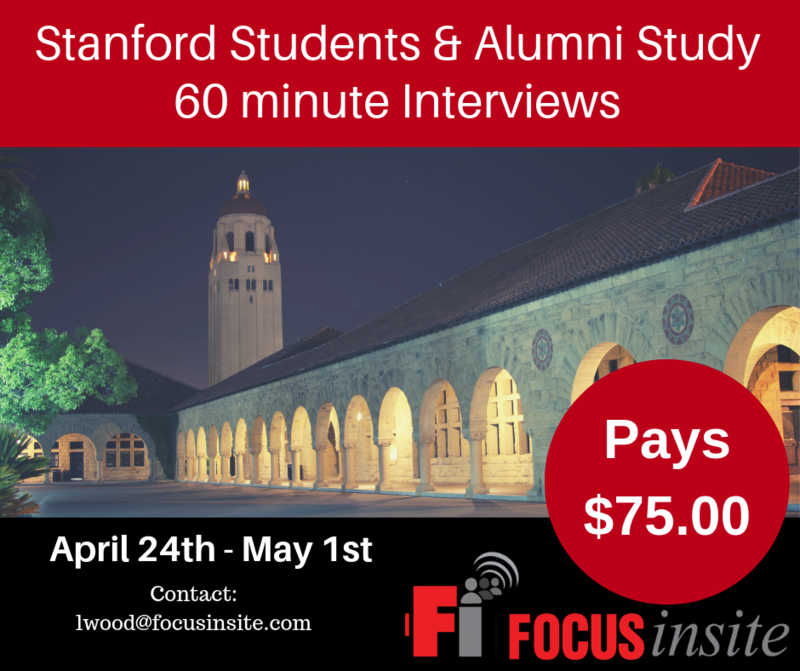 We have a new research study coming up and we’re looking to speak with Stanford University students and alumni. 60 minute phone interviews are taking place beginning Wednesday, April 24th through Wednesday, May 1st. For 60 minutes of your time, you will be paid $75.00.